used trenchroller Wacker RT820 in as it is condition operating weight 1345kg measurements: drum roller diameter in front/in the back 520 mm drum roller width in front/in the back 820 mm Länge x width x height (L x b x H) 2030 x 820 x 1.220 mm transport weight (mit packaging) 1.557 kg transport dimension 2.260 x 890 x 1.385 mm engine: 2-cylinder-diesel engine mit electric start Max. 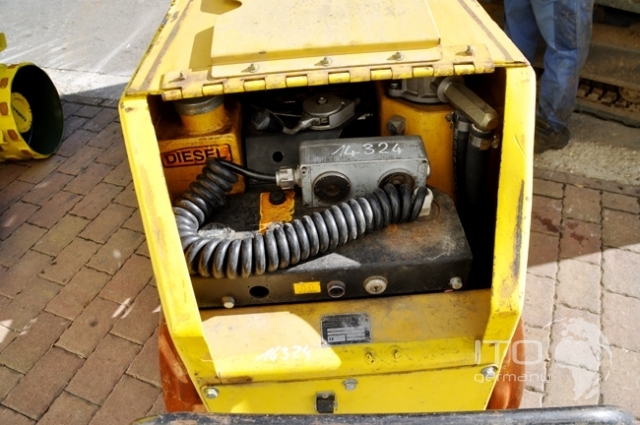 performance by DIN-ISO 3046 - 15,6 kW working power by DIN-ISO 3046 - 13,5 kW at speed of rotation 2.600 U/min engine fuel consumption 5,6 l/h fuel tank capacity appr. 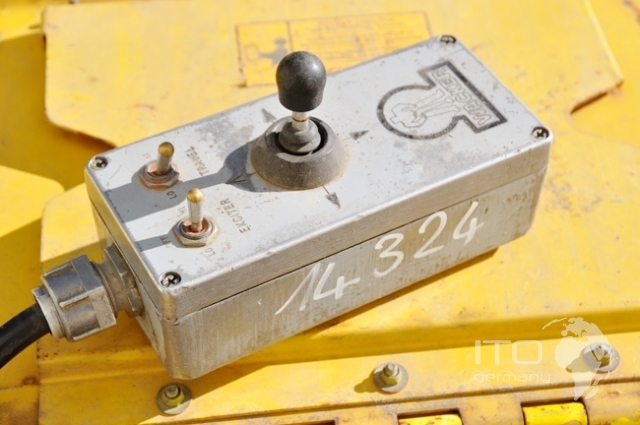 24 l frequency 41,7 Hz general data: centrifugal force max./min. 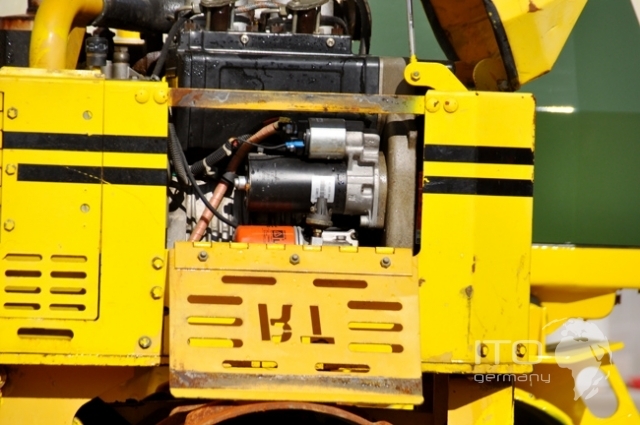 34,2/68,4 kN Statische load per unit length in front/in the back 9,6 N/mm Max. 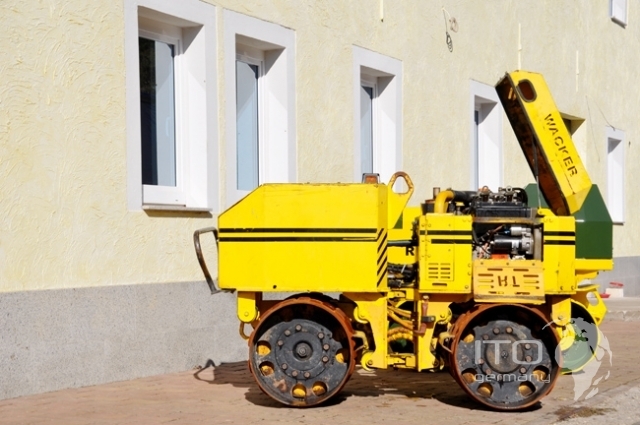 dynamic load per unit length/roller drum 45,3 N/mm comression depth: earth up to 75 cm Min. 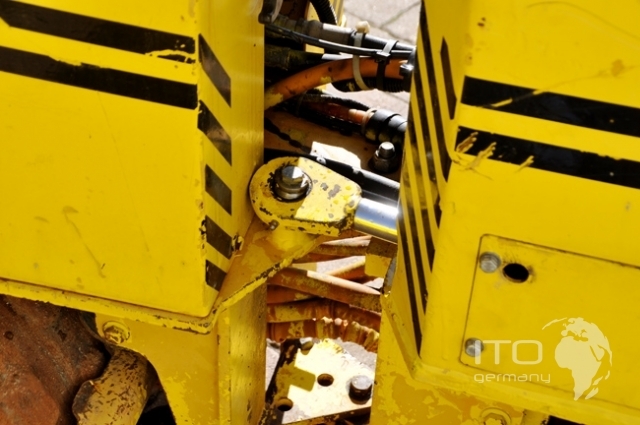 travel speed 20 m/min Max. 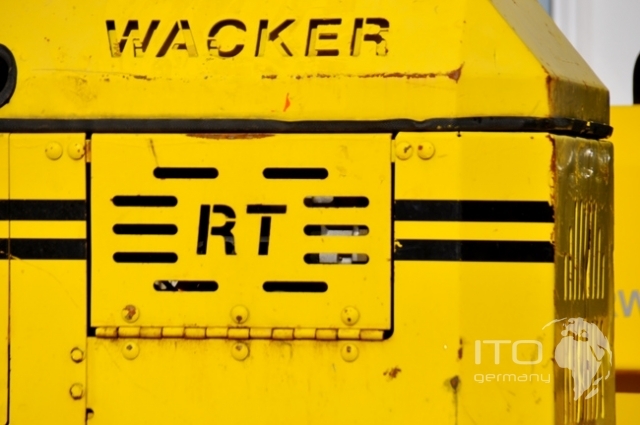 travel speed. 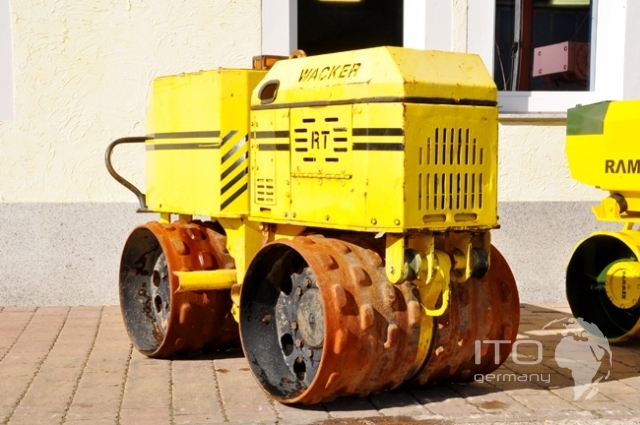 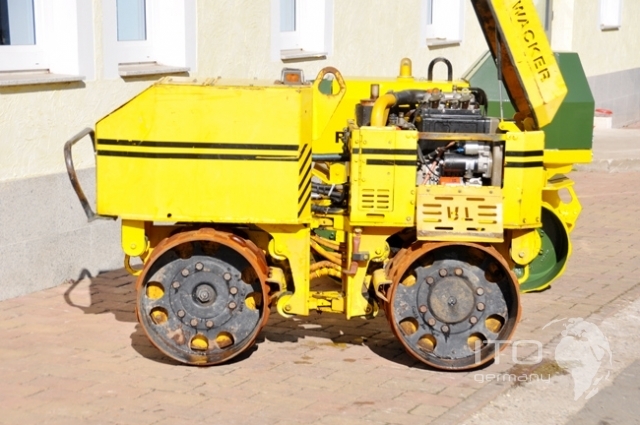 - only forward 41 m/min area coverage 972 m2/h Steigfähigkeit without vibration 55 % Steigfähigkeit mit vibration 50 % turning radius insite 1,5 m the Wacker RT 820 or the etwas schmälere trenchroller RT 560 sind the ersten beiden Wacker trench compactors mit power steering and Lombardini diesel engine gebbaut werden diese Grabenverdichter seit mite the 1990 Jahre. 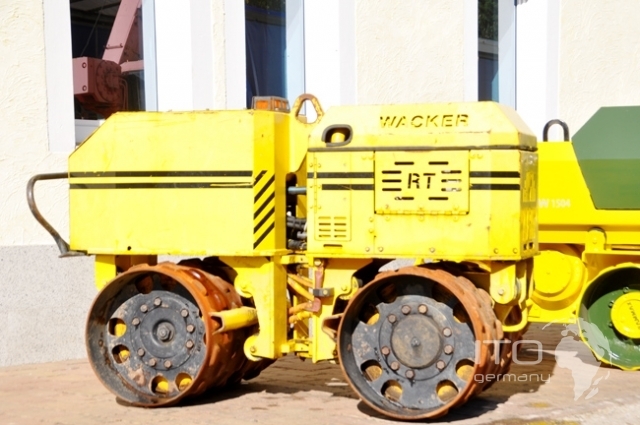 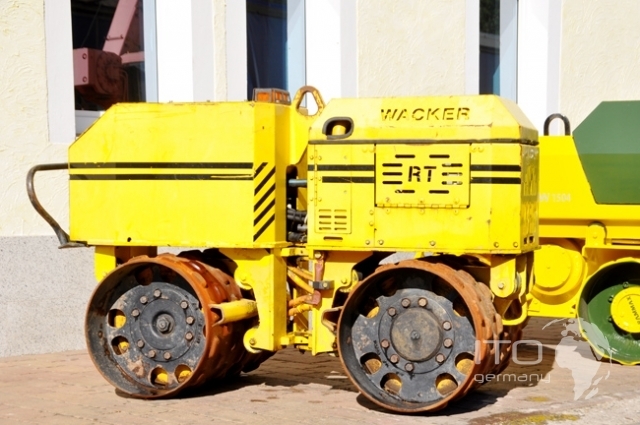 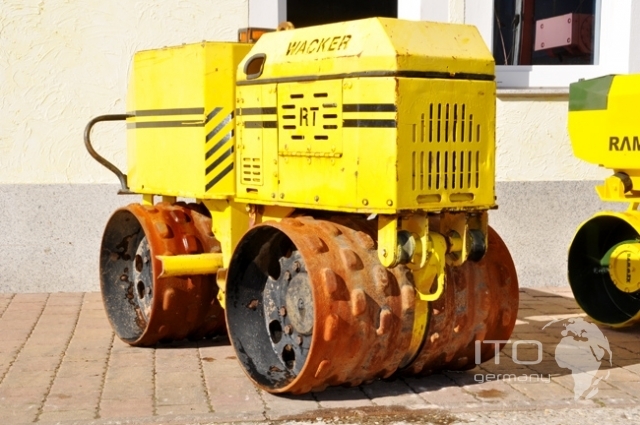 used Wacker vibratory rollers front type. 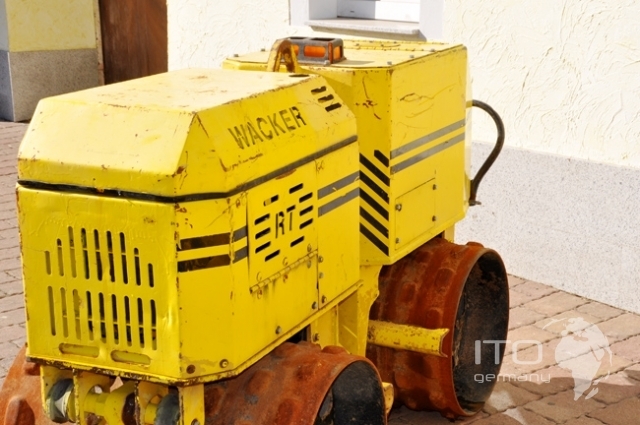 RT820 and RT560 werden each by condition to Price of 2200 Euro up to to 6900 Euro in verschiedenen Portalen offered. 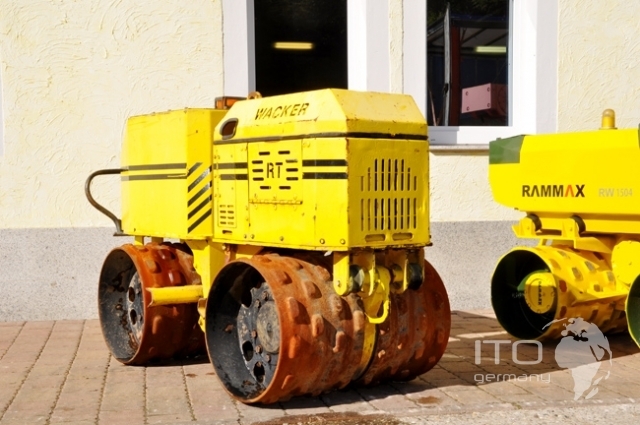 comparable größen sind the Rammax 1510 Viper, Bomag BMP 8500 or the Dynapac LP8500. 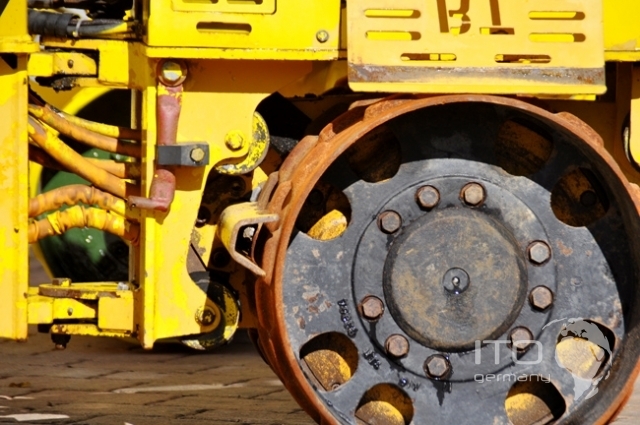 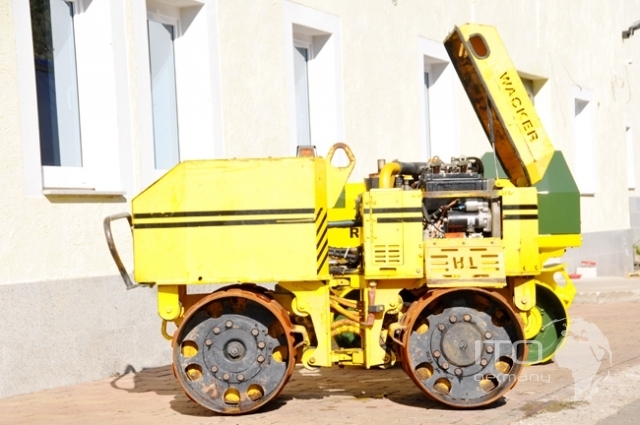 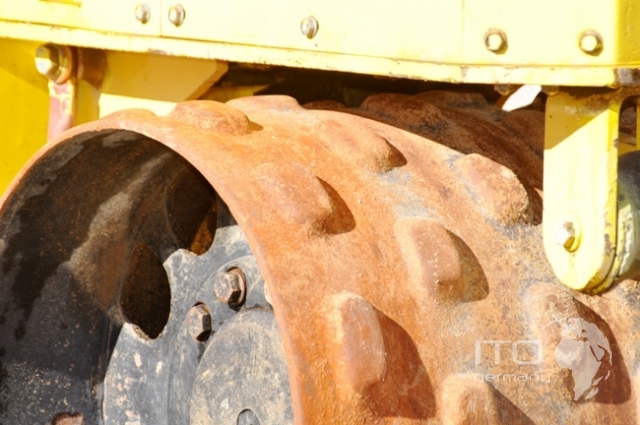 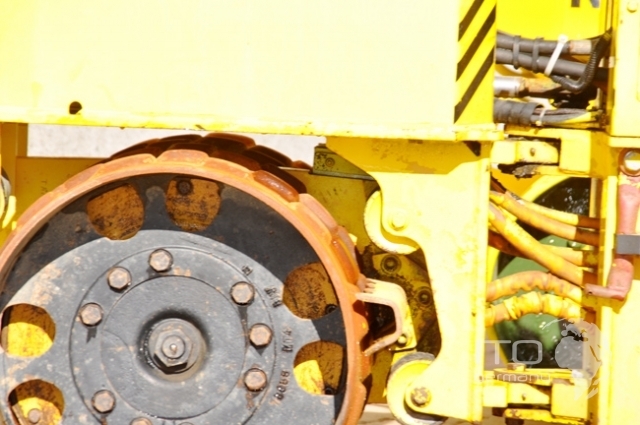 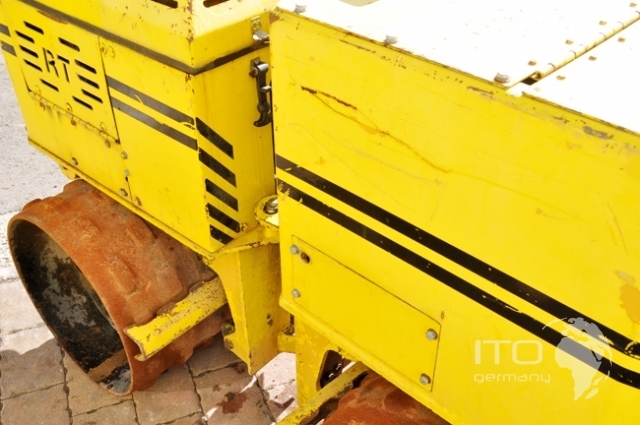 low-priced alternativen sind kleinere trench compactors mit weniger weight.